When we've even more parcels, we pull a trailer behind the Xtracycle. We've got happy customers in almost every country in the world, including so far afield as Australia and New Zealand, every state in the USA, Korea, Japan and China, as well as all across Europe. 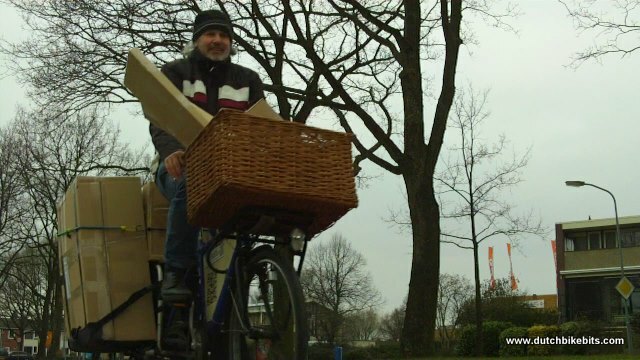 However, every one of the deliveries starts off by bicycle. This sometimes means I find myself riding through the streets of Assen on a bike which is stacked up with a lot of parcels, as seen here.